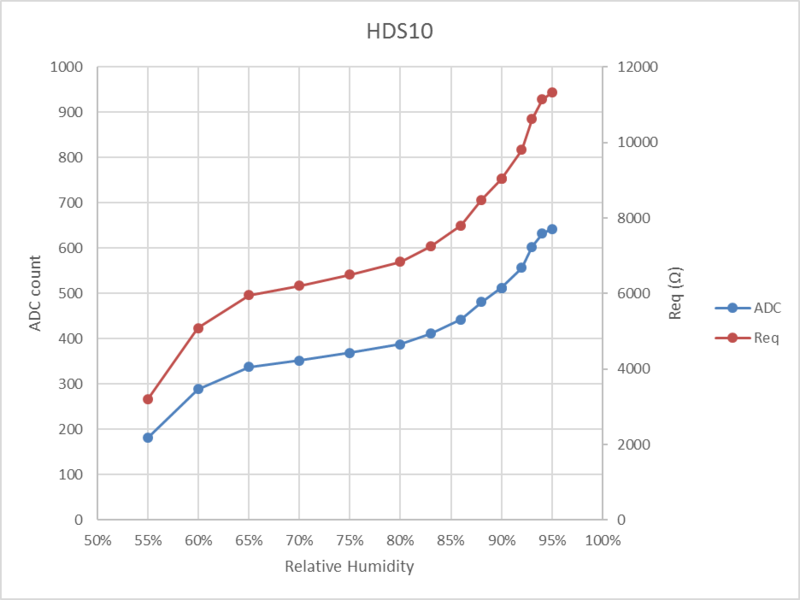 Above is a table of the digitised characteristic. 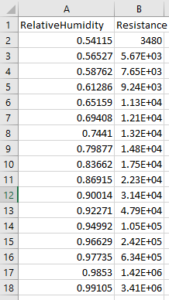 Above is a table of calculation of the cubic spline interpolation parameters over the 17 points. 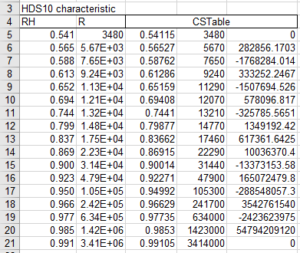 These are a basis for interpolating R at any given RH. 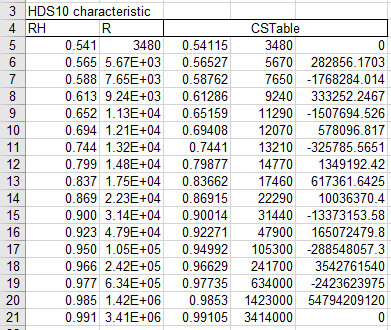 Above is a set of key circuit parameters, and calculated values of R at a set of RH values. 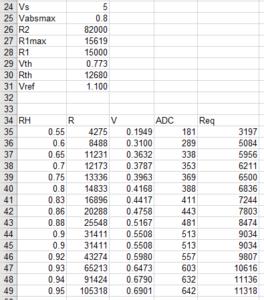 From R, V into the ADC is calculated, and the ADC count. Also important is the Thevenin equivalent source resistance Req which is calculated. 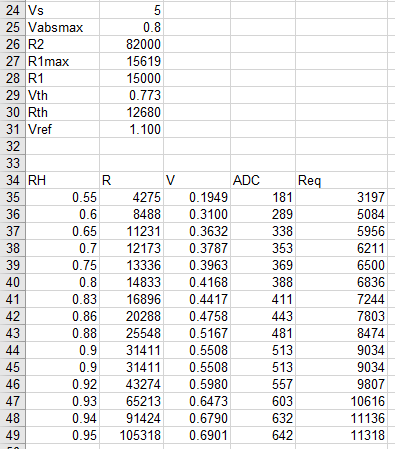 Above is a plot of the calculated ADC count and Req values. 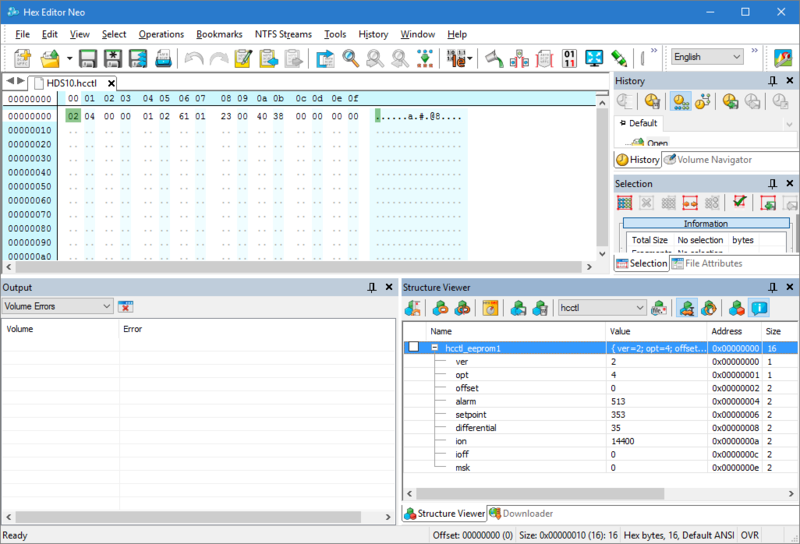 Now we need to nominate the setpoint, differential and alarm parameters, and calculate the ADC counts to store in the EEPROM. 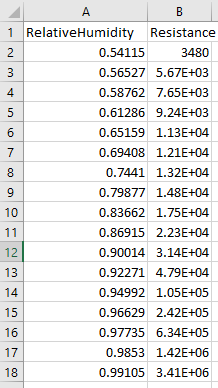 Above, a small table converting the chosen setpoint, differential and alarm parameters to EEPROM values. 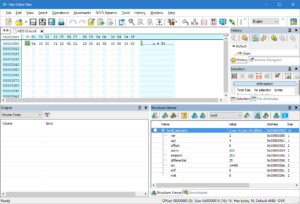 Above is a screen dump of the EEPROM file with the calculated values plugged in. This file is then written to the device EEPROM. Duffy, O. 2012. Generic heating / cooling controller. 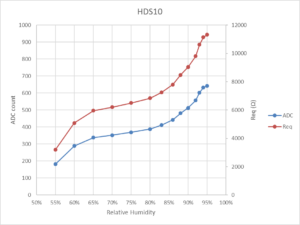 https://owenduffy.net/module/hcctl/index.htm.